Dietrich Bonhoeffer: We Do Not Have to Make the Bible Relevant! It was exactly one month before my wife and I were married. I can’t think of two greater Evangelical giants today than John Stott and Billy Graham. 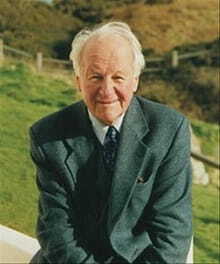 This morning (July 27, 2011), one of the two—Stott—went to be with the Lord. I cannot sum up adequately what he has meant to the Evangelical world, but what I can do is offer my little slice of perspective. I have been involved with the Lausanne Committee for World Evangelization for almost a decade now, and John Stott was instrumental in that organization. In 1974, Billy Graham convened the first-ever Lausanne Congress on World Evangelization in Lausanne, Switzerland. Though he was the visionary for this Congress—possibly the greatest Evangelical gathering of missionary leaders in history up to that point in time—John Stott was the chief author of the Lausanne Covenant, the document which came out of that conference. Have you ever wondered what it means to be an Evangelical Christian? The word ‘Evangelical’ is so nebulous that it has been used in all manners of caricature, even by Evangelicals ourselves. Well, a lot of people think that a good definition of “Evangelical” is if you can affirm the Lausanne Covenant. Countless churches and mission organizations use the Lausanne Covenant as their litmus test for Evangelical faithfulness and orthodoxy. Basically, if you agree with the Lausanne Covenant, you are an Evangelical. Adolf Hitler Were Convinced that Christian Pastors Were Simple Little People to be Pushed Around! …knew quite well who to deal with these Protestant pastors. “You can do anything you want with them,” he once remarked. 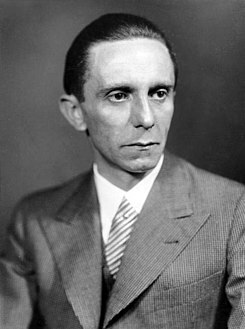 “They will submit…they are insignificant little people, submissive as dogs, and they sweat with embarrassment when you talk with them.” With the cynicism he brought to call for an “election,” Hitler suddenly announced new church elections to be held July 23 (1933). This called for an illusion of choice, but with the power at the Nazis’ disposal, there was little question who would win. Intimidation of every kind was brought to bear on the situation, with the serious threat that anyone opposing the German Christians could be accused of treason. And there was only one week between the announcement and the elections, making it virtually impossible to organize a viable opposition. …With the confidence of someone who knew his rights and was bold enough to claim them, Bonhoeffer stormed into the building and demanded to see the head of the Gestapo (Bonhoeffer: Pastor, Martyr, Prophet, Spy by Eric Metaxas, 180-181). Though Bonhoeffer and Jacobi were threatened to be sent to a concentration camp, their courage has to be appreciated. 13. The National Church demands immediate cessation of the publishing and dissemination of the Bible in Germany. 18. The National Church will clear away from its altars all crucifixes, Bible and pictures of saints. 19. On the altars there must be nothing but Mein Kampf (to the German nation and therefore to God the most sacred book) and to the left of the altar a sword. To Adolf Hitler, Christianity Was Weak and Flabby! Hitler‘s attitude toward Christianity was that it was a great heap of mystical out-of -date nonsense. But what annoyed Hitler was not that it was nonsense, but it was nonsense that did not help him get ahead. According to Hitler, Christianity preached “meekness and flabbiness,” and this was simply not useful to the National Socialist ideology, which preached “ruthlessness and strength,” I time, he felt that the churches would change their ideology, He would see to it. Joseph Goebbel’s Diary Reveals Some of Hitler’s Thoughts on the Clergy in Germany! The Fuehrer spoke very derogatorily about the arrogance of the higher and lower clergy. The insanity of the Christian doctrine of redemption really doesn’t fit into our time. Nevertheless there are learned and educated men, occupying high positions in public life, who cling to it with the faith of a child. It is simply incomprehensible how anybody can consider the Christian doctrine of redemption as a guide for the difficult life of today. Hitler Believed He Could Change the Way the Church Thought! I have seen it before but I am watching the first part right now again. It is a helpful in understanding how Hitler came into power and how he lost it.